Due to the sensitive nature of the aquatic plant community in Fox Lake, a plant survey regularly takes place in order to determine weed harvesting. In 2018, we had three mechanical harvestings take place with dates in June, July, and August. The harvesting takes place approximately 150 feet off-shore, just inside the existing no-wake buoys. The Indian Point area harvesting channel is outside of the buoys (due to depth issues inside the buoys). 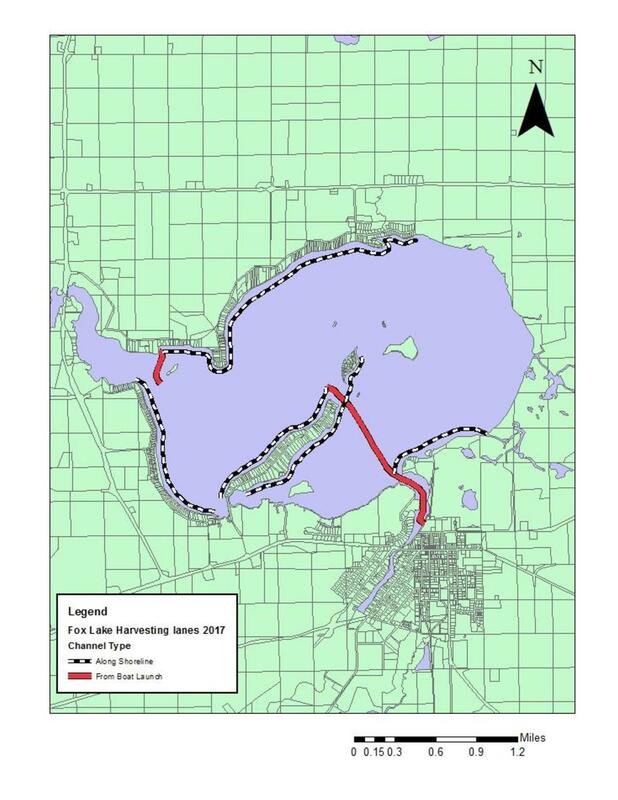 Harvesting will also create navigation lanes from public boat launches (Town and City) to open water.